Hey. Do you know what time it is? I know I do! I also know which direction is north, current barometric pressure, altitude, temperature, and tide and moon data. I got a new watch. That’s how. 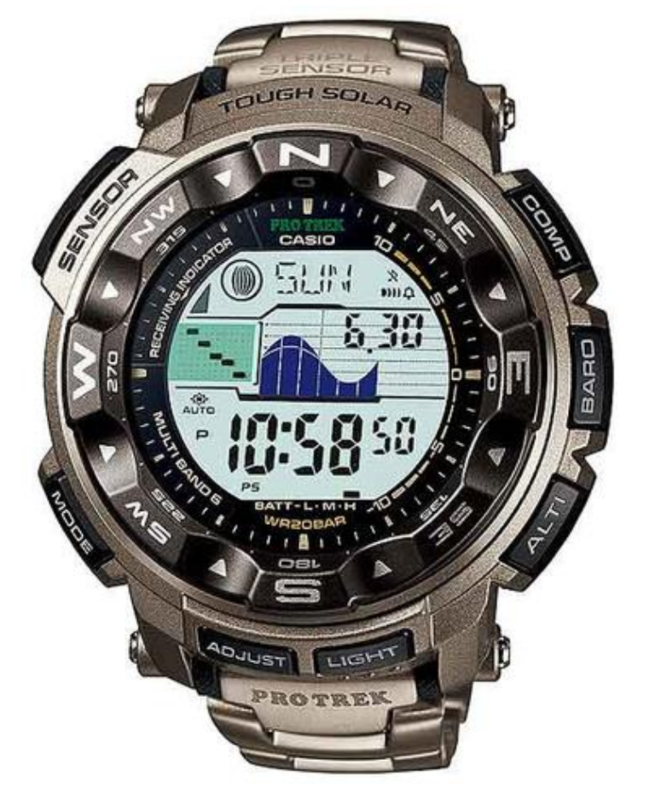 A pleasant surprise for my birthday last month, my (awesome) girlfriend bought me the Casio Pro Trek with the titanium band, and I couldn’t be happier. In the first part of the “Ripping Streamers” series, I dropped some knowledge on why you should give streamer fishing a try. And I know you’re getting excited to add this technique to your arsenal of tricks. Let’s get down to business of the “how” part of streamer fishing. I’ll start with what makes a streamer a “streamer”, then get into what they mimic in nature. Finally I’ll cover general guidelines to get you started. I can see the look on your face. Ripping streamers? You must be crazy. That isn’t fly fishing, you’re thinking to yourself. I used to feel the same way. I read an interesting article recently that used a term I hadn’t ever heard of before. The author calls it “blue lining”. Intrigued by the title of the article, I soon realized that I knew exactly what he was talking about. But I like be different, and I like to get out of my comfort zone and try new things. As I drive through Boulder, I slow down as I approach the bridge over Boulder Creek. We’re finally tapering off from peak runoff. I last fished Boulder Creek two weeks ago, and the flow was about 650 CFS, which by my standards is pretty raging. The fishing is tough at the higher flows, but I still did manage to net a few. And I’m not bummed about the runoff. Not in the least. Why? Because it’s almost dry fly season! I can see you. You’re standing at the edge of that lake. And you can’t cast your line far enough to put your flies in front of feeding fish. To make matters worse, there are bushes and trees behind you, making casting even more difficult. Discouraged, you decide to wade out into the water a little further. When you look at a map, or go to your local fly shop to inquire about new fishing spots, it can be overwhelming. I’ve been there. I still go there sometimes. There are tons of publicly accessible lakes, rivers, streams and creeks all over the state of Colorado which are full of fish. And there’s a lot of water to fish too, be it right around the corner from your house or office, or a short drive. You might even hike a bit to get away from the crowds.